Take part in the first AniMTL: Montreal 48 hour Animation Competition! During the 5th anniversary of Animaze, August 16-19 we call all Montreal animators to compete in a 48 hour animation challenge. 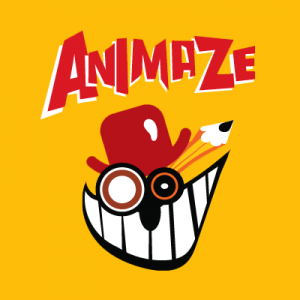 Animators will be given a theme on Thursday afternoon, on the opening day of Animaze. Then, they will have 48 hours to create short animation films, of any kind, any genre and any type of animation, up to 2 minutes. The films will be submitted back to Animaze and the top three selected by our programming team will be presented on the Animaze YouTube channel, promoted through our media partners and festival partners. The audience will then have the chance to like the films on YouTube. The most liked short film will receive the prize of being included in our annual Animation Day in Cannes next May, during the Cannes Film Festival! What are you waiting for? Join the weekend challenge with Animaze. You will then be given instructions on how to proceed with further steps and how to submit your projects. We look forward to having you on board AniMTL! This entry was posted on Tuesday, August 14th, 2018 at 9:32 am	and is filed under News. You can follow any responses to this entry through the RSS 2.0 feed.